The Bases are Loaded Along the South Shore! The beginning of spring has long meant something very specific: the beginning of baseball. In Northwest Indiana, we are fortunate to have many different ways of getting our fill of America’s favorite pastime. The Region is home to three different types of baseball! The Gary SouthShore RailCats are a Minor League team with the American Association. They play at the U.S. Steelyard in Gary, and offer a lot of fun during their season. Their first game is coming up on May 16th, and is something the whole family will enjoy (without spending a lot of money)! I’ve been to quite a few RailCats games, and they definitely never disappoint. Tickets are always less than $10, and the seats have been fantastic. They offer a full menu of stadium food and drinks, which are also pretty reasonably priced. Inside the gift shop, you can buy “Cat Coins” and use them same as cash. When I’ve done this, I was able to buy $15 worth, and was given $3 extra. I’m not too sure if this is still something they’ll do in 2013, but it’s definitely worth asking! My favorite part of any RailCats game though is the between-inning entertainment. The mini competitions have always proven to be really funny, and they even pull all the kids out to do a field run. 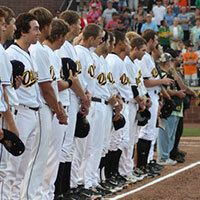 The Oilmen are a summer wooden-bat team and are part of the Midwest Collegiate League. The team is comprised of college players who stay with host families during their season. The Northwest Indiana Oilmen play in the newly built Oil City Stadium in downtown Whiting. I was able to attend a couple of these games last season, which was their first season. Again, tickets at Oil City Stadium are inexpensive, and you can choose to sit in box seats, reserved seats or in the grassy area on the third baseline. The backdrop is the refinery, which may seem odd, but I found it to be pretty interesting considering the history of Whiting, and the history of the team and stadium. The location of Oil City Stadium is pretty fantastic. It sits between the lakefront and downtown Whiting, which has neat shops, awesome restaurants and Bulldog Brewery! You can definitely make a day out of being in the area between going to the beach and park, an Oilmen game and hitting a restaurant or the brewery. 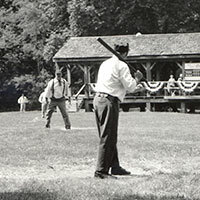 The Deep River Grinders and the Munster Centennials are vintage baseball teams. They play ball the way it was back when players were polite and courteous to one another. Games are free to attend and they serve ice-cold sarsaparilla and hot dogs. I haven’t been to a game yet, but Luke, our director of IT has, and he said they are a whole lot of fun. The players dress in old-school uniforms and the rules are really different. Luke said you hear a lot of the word “sir” being used, and the players are super into the game. The word "huzzah" is yelled out often while cheering, both from fans and players! It really sounds like a neat experience. Catch the first game between the Deep River Grinders and the Munster Centennial sat 2 p.m. at Grinder’s Field on Sunday, May 5th. Let us not forget how close the South Shore is to Chicago and U.S. Cellular Field! 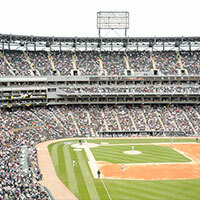 Chicago White Sox&apos;s season has already started, and their schedule is full of great promotions and events. New this season is Family Sundays. Tickets can be found for $7 and parking is only $10. On May 24, the Chicago White Sox will be honoring the Northwest Indiana fans! Check back for more details about the events scheduled for a night dedicated to the South Shore.